Wonderful tour. 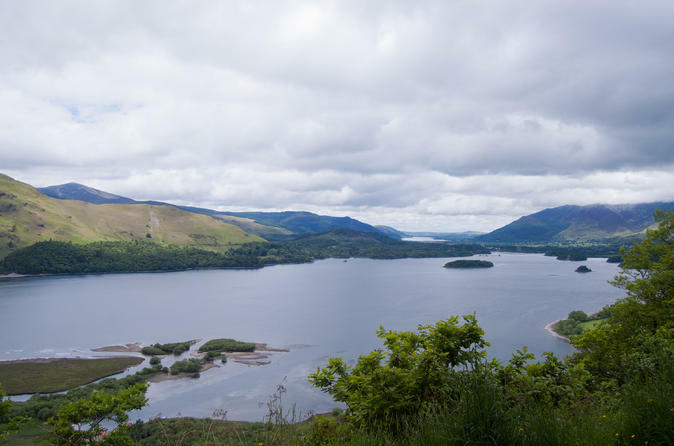 It gives a complete overview of the Lake district so you can plan how you want to spend your time subsequently. The guide was friendly, very good and looked after everyone really well. Great and worthwhile tour to get to know the Lake Districts. A very pleasant, helpful and informative tour guide / driver Chris who made the experience even greater. This day tour was unquestionably the highlight in our 30 day tour of the UK. In one day we got to see the best of the Lake District. The experience was greatly enhanced by our guide/driver Gerry, whose enthusiastic, entertaining commentary and wealth of knowledge of the Lake District and it's history made this a day to remember. If you have only one day in the Lake District, this is without doubt the tour for you. Muy buena excursion. Yo diria obligatoria. La empresa Mountain Goat un exito. Very prompt pick up. Pleasent knowledgable driver/guide. Trip adapted perfectly for weather. Perfect balance of sightseeing and comfort/refreshment breaks. the whole experience was great,even the weather was good,driver Elliot was v/good full of information. 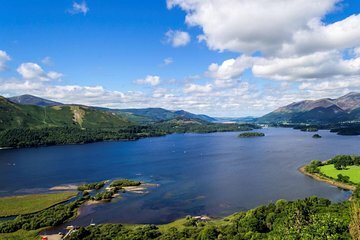 This small group van tour is excellent for hearing about and seeing an overview of the lake district, especially if you only have a short time to spend there. Bob, our driver and guide had most interesting stories and background about the sights we were seeing. There were numerous stops to take photos and enough time for getting lunch in Keswick. Highly recommend this day tour...a great overview of the Lake District! Our guide Bob was first class, very informative, amusing and a great driver! Glad he was driving, not us. Vehicle was the right size but if completely full then it would have been a little clostrophobic for me. The Surprise view is imprinted in my memory! Great day trip and would highly recommend! Brilliant way to take in the scenery and visit places that we probably wouldn't have seen on our own. Also gave me a well-earned break from driving all week! Surprise view was a fantastic bonus and took some great pictures! Mike was our tour guide and had great knowledge of the area and kept us fully informed throughout the day. He couldn't have been more helpful. Plenty of good photo opportunities and great value for money!